This hand carved and caned bergère armchair by Theodore Alexander features a laurel carved, serpentine seat and a luxurious gold silk cushion. 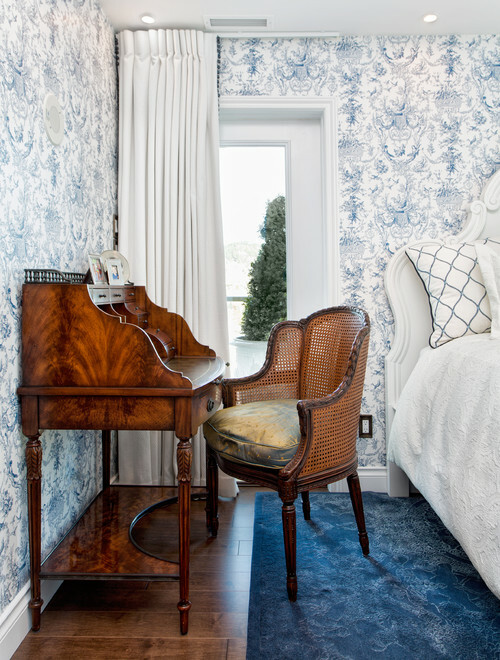 Inspired by a Louis XV provincial French piece the armchair adds a hint of European tradition to a light and airy bedroom by Cindy Ross Interior Design. This entry was posted in Interior design and tagged Bedroom, Bergere, Houzz, Louis XV. Bookmark the permalink.